Konnis strives to meet your time and budget goals while delivering exceptional quality and value. 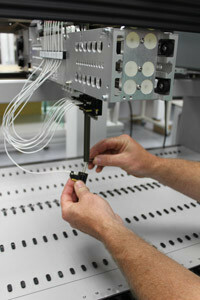 Our Field Service Engineers (FSE) each have over 12 years experience servicing Tecan liquid handling robots. If you don’t see exactly what you are looking for in one of our programs below, please contact us to discuss your requirements. Our in-house lab has multiple robots set up for test and verification of processes and to reproduce support scenarios. 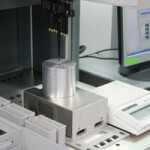 Instrument options such as bar code scanners, scales, shakers, temp controllers, low diti ejects and various other devices are installed, calibrated and tested to ensure they meet specification. There is rarely a question that we can not answer or simply go into the lab and try. Konnis On Call Repair – Even if you are not under a Service Agreement or on a PM schedule with Konnis, use our online form or call to schedule an on-site repair. The Konnis Full PM (Fpm) is a full service contract that covers parts and labor on your Tecan instrument for 1 year, one PM, hotline support, with travel included. Konnis holds redundant inventory of your instrument. If anything should occur with your instrument, Konnis will be on-site to resolve the issue within 2 business days. Our primary goal is to get you up and running as quickly as possible. Remote login is another option in some cases to expedite some software repairs. Initiate requests through the Service Request form or by simply calling Konnis directly. Ask about our multi-year option for additional savings. Two PM/year service contracts are available upon request. Fpm discounts available. It is the Konnis version of TE-Care. Konnis Annual PM (Apm) with repairs quoted on an as needed basis. The annual preventative maintenance is tracked and scheduled on an annual basis. Repair is done via the request for service quotation and will be scheduled upon receipt of a PO. The annual PM is intended to keep the instrument in top working condition and head off possible service issues that may arise. If the Tecan instrument is in high use consider scheduling 2 PMs per year. Discounts are available on other services when you use Konnis for your Apm. Utilize the Konnis Inspection with Elective Preventative Maintenance (IEpm) Program when the budget is tight. This option is intended for infrequently used Tecan instruments or when budget is an issue. While not typically recommended the IEpm program can save time and money. The Field Service Engineer (FSE) inspects the instrument and looks for proper condition of components and operation. The FSE will recommend when the next PM should be performed. The purchase of an IEpm may be applied to a full PM if performed within 6 months of the inspection. Specify IEpm when requesting a quotation. Do you want to check the pipetting ability of your system, test out a liquid class, or get a calibration test report? Unlike dye-based tests we can run a gravimetric test integrated directly on the deck of your liquid handler using the liquid classes that you pipette with. 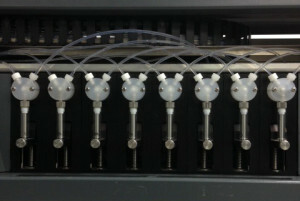 This provides Konnis the unique ability to evaluate any type of liquid being pipetted in your actual protocol with results in real time.